Whether your transcriptions are required for academic, legal, medical or corporate use, our transcription management and typist teams deliver a market leading audio typing service. Each and every transcription carried out by K International is handled by our dedicated team of transcription managers right here in Milton Keynes and worked on by professional UK based typists. Whether you’re a student requiring transcripts of academic interviews or a legal organisation in need of typed versions of audio evidence, we provide the highest levels of transcription service and quality, as standard. 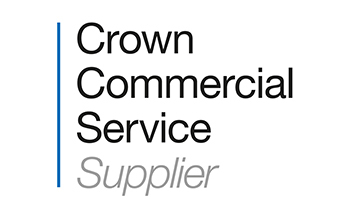 Major departments of the UK Government, including the Serious Fraud Office and the Environment agency, rely on our transcriptions daily, so you can rest assured that when you order from us you will receive a service that is at a level of efficiency, reliability and quality, that’s fit for use by the criminal justice system. If you require a secure enterprise level service we are able to provide you with access to our encrypted online transcription ordering portal. Alternatively, we also provide a secure email delivery service via Egress Switch or, of course, handle hardcopies via a certified courier service. Broadly speaking the types of transcription we offer fall into 3 categories, how you intend to use the finished transcripts will determine which variation is best suited to your needs. Verbatim transcription demands that every word, cough and garbled sentence is transcribed exactly as heard in the original recording, including grammatical errors and slang. This ensures that verbatim transcription delivers a precise written representation of the audio recorded, including pauses, errs and umms. Typically this type of transcription is employed for things like criminal interviews or media usage, where the extra detail can provide a more accurate understanding of what was said and exactly how it came across. This is largely the same as verbatim transcription detailed above, however, in this case, errs and umms are omitted. All repetitions, filler words and false starts are recorded so the dialogue transcribed remains true to the original recording. Intelligent-Verbatim requires a skilled, highly qualified transcriber. They are relied upon to edit the overall transcript so as to remove superfluous words, correct grammar and sentence structure whilst ensuring the transcript remains an accurate reflection of the intentions and message of the original recording. Whichever format you use for your recordings; MP3, WAV, WMA etc. 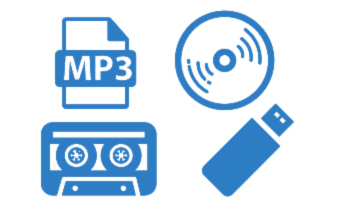 our transcription team can handle it and on any medium, even cassette if necessary. We are an official supplier of transcription to numerous departments of the UK Government, including the Serious Fraud Office, via the RM1092 framework. If your requirement is urgent, we provide a same day, 24hr, 48hr and 72hr turnaround transcription service where the length and complexity of the recording permits. Interview transcription can be required for many purposes, including police station interviews needed for court, interviews required for research for universities or market researchers, telephone interviews for training purposes, or even interviews for newspapers or magazines. These can cover one-to-one interviews or interviews with groups, and the level of verbatim can vary to match the purpose of the interview. Legal transcription services can be required at numerous stages of the legal process, from police station interviews and witness statements through to court tribunal hearings, covering legal areas such as Matrimonial, Commercial and Domestic Conveyancing, Litigation, Children/Local Authority requirements, Medical Negligence/Personal Injury, Social Housing, Immigration, Tax & Trust and Probate, Parliamentary, Debt Collection, Local Government to name just a few. Our transcription team has a long standing relationship with numerous organations and government departments that rely on our accurate legal transcriptions. In areas of such high importance, it is imperative that quality is paramount and that’s what we deliver to each and every one of our legal transcription clients. Media transcription is a relatively new type of transcription that is typically used to produce written records for a variety of different broadcast audiovisual material. This tends to incorporate things like television programmes, news content, podcasts, documentary footage and audio interviews. In addition to written records, media transcription can also be used to support wider accessibility services, by providing audio descriptive subtitles and time coding to help sync standard audio subs for example. As well as providing transcription, we provide translation services for over 200 languages. Audio translation is the combination of these two disciplines, and is used when the audio is in one language but a written record is required for an end client working in a different language. Transcripts can either be taken in the source language and then translated, or transcribed directly into the target language, saving you both time and money. Medical Transcription Services typically focus on delivering written records of medical reports that are dictated by physicians, nurses and other healthcare workers. Dictations are voice recordings that can be taken over the telephone or alternatively stored digitally and uploaded to us directly via the internet. All our medical transcription services are managed in a secure, confidential environment via systems accredited to the ISO 9001:2015 data protection standard by BSI to give you peace of mind. Transcription can be required for numerous financial purposes by organisations in various sectors. Typically we work with corporations, merchant banks, accountants, company doctors, regulatory bodies, building societies, compliance companies, business schools, finance advisers, webcast providers, finance portals and management consultants. Our academic transcription services are used by students and professors of reputed universities all over the UK. We handle audio to text, text to text and even language translation with transcription. The types of academic recordings we work with typically include research interviews, educational interviews and group discussions. Your transcription project will be handled by one of our dedicated transcription managers based right here in the UK. This means you will always have someone knowledgeable and up to speed to answer any questions you may have throughout the duration of your projects. We provide complete, reliable, ready-to-use transcripts of your recordings in verbatim, semi-verbatim and intelligent verbatim formats. All the transcription requests we receive are treated with the utmost levels of confidentiality and completed by expert UK typists with years of experience. We are accredited by the British Standards Institute and ISOQAR, holding ISO 9001 quality control and ISO 27001 data security standards. 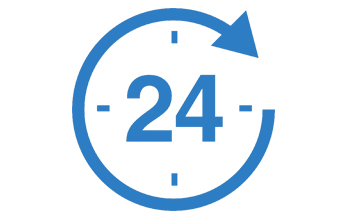 If you need rapid turnaround, we are able to offer a same-day, 24hr or 48hr express service. Whether your recordings are digital or hard copies, our UK-based team will ensure you can access our high-quality transcription services without any unnecessary delays. K International’s typists provide you with some of the most reliable transcription services in the UK. We have worked with taped meetings, interviews, telephone calls, video surveillance feeds, foreign TV channels and many other audio sources. 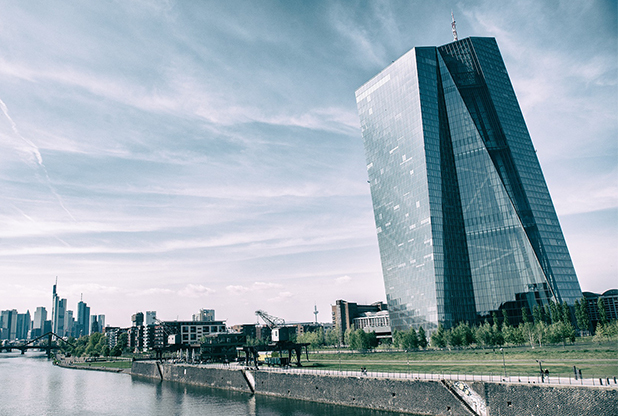 The European Central Bank (ECB) rely on K International for the transcription of press conferences, interviews and teleconferences which are displayed publicly on their website. As the transcripts are accessible online to the general public, it is imperative that the quality and accuracy is of the very highest standard. Transcription projects undertaken by K International for the ECB are typically English language based. There is, however, an occasional requirement for Foreign Language transcripts as well, which relies on our multilingual transcription service addon. A key requirement of the ECB is that transcripts are returned ASAP, typically within 5x the duration of the audio. To be able to meet such tight deadlines requires effective communication between the ECB and our transcribers. The transcripts are produced as intelligent verbatim which enables the European Central Bank to upload them directly to their website with minimum amendments. • Efficient work-flow procedures reliable and prompt transcripts. • Intelligent Verbatim transcriptions, making them web ready.